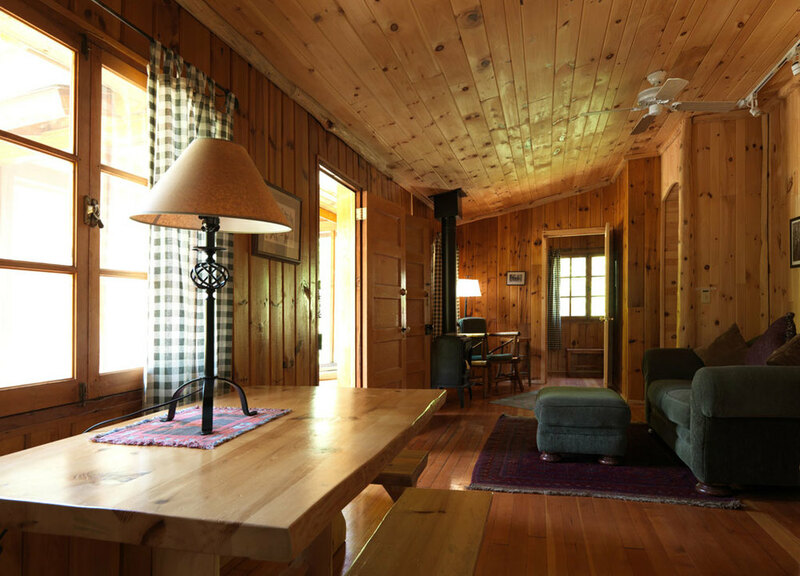 This is a two-bedroom log cabin that was originally constructed in the 1920's. The location is directly across from the main lodge and is a short walk to the beach or marina area. You first enter into a porch and then step into the great room which is your combined dining, sitting and cooking area. The kitchen has a full-size refrigerator/freezer, range top stove with oven, microwave, coffeemaker, pots & pans, dishes, wine glasses and utensils for four guests. There is a comfortable sofa and occasional seating as well as a free standing gas stove that gives the ambiance of a fireplace. The bathroom with tub and shower can be accessed from either the great room or the master bedroom. 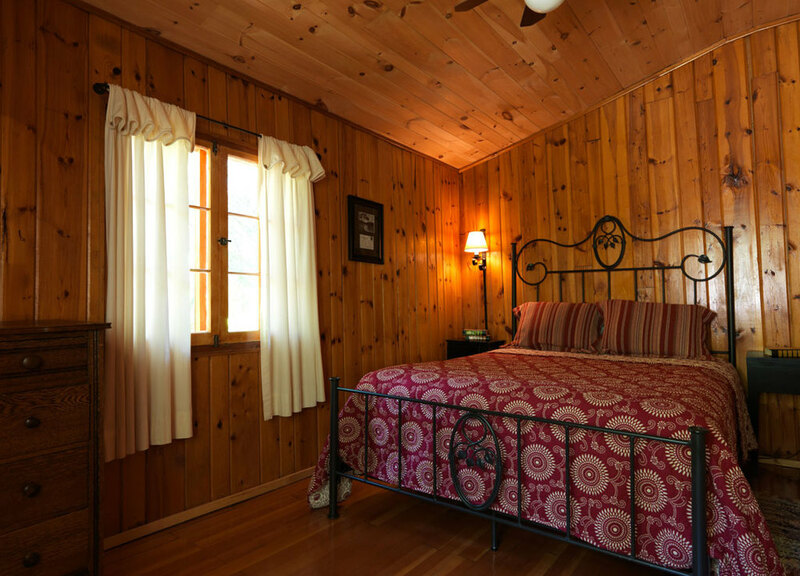 The master bedroom has a queen-size bed, the second bedroom offers two singles. The 2019 rate is $ 2 066.00 per week, or $ 325.00 per day.